Thank you for joining me in the beautiful this called life! I've spent the past few years really exploring and trying to connect with my true Self and nature, and I find something magical happens when we peel away the superficial layers of ourselves, the innate wisdom and connection to all things that lies beneath is simply breathtaking. A lover of nature & explorer of the Divine, I am also a Yoga Instructor, Meditation Coach, energy and body worker and ordained minister/priestess. With a multi-faceted practice, I believe in a truly integrative approach to self care. I believe in embracing every aspect of yourself and blazing your own trail of awesomeness. Working with clients to tap into their own power, I incorporate many elements to harness the endless potential in everyone. Modern Goddess Living in centered in my studio Little Lotus in Ferndale, MI. Here I host workshops and Meetups with local woman who wish to share, grow and connect to their own true nature. I'm happy to gather and share all of these tools that have opened up my beautiful world in so many ways and given me a sense of empowerment and love for all things. Be well Goddess Tribe. Blessings and Namaste. Here are some proudly published articles on wellness and mindfulness.  Meditations now on Insight Timer, one of the most popular meditation apps!